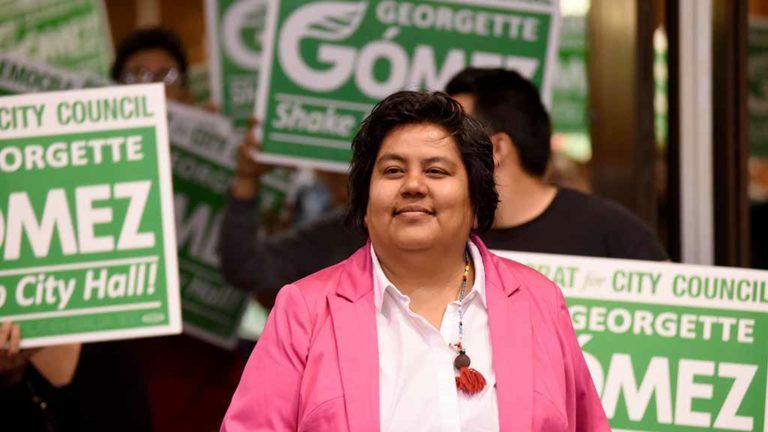 San Diego City Councilmember Georgette Gómez will chair the Metropolitan Transit System board for two years following a unanimous vote by its directors on Thursday. Gómez takes over from Harry Mathis, who held the post for 12 years. She is the first Latina to chair the board of San Diego’s transit system. Gómez was elected to the City Council in 2016 to represent the 9th District, which includes City Heights, Kensington, Talmadge, El Cerrito, Rolando, the San Diego State University area, Mountain View and Southcrest. “We look forward to working with Georgette as our new chair, and continue our success and our standing as one of the top public transit agencies in the nation,” said Paul Jablonski, chief executive officer of MTS. The MTS Board is made up of 15 members from the cities of San Diego, Chula Vista, Poway, Santee, El Cajon, La Mesa, National City, Lemon Grove, Coronado, Imperial Beach and the County of San Diego.